Dhaka, Bangladesh (BBN)-Bangladesh’s stocks suffered a big fall on Sunday, mainly due to panic-driven sell-offs. Stock trading resumed with a downturn which sustained till close the session. Key index of Dhaka Stock Exchange (DSE) sheds 53.23 points and Chittagong Stock Exchange (CSE) loses 108.93 points on Sunday’s closing session. The benchmark index of the Dhaka Stock Exchange (DSE), settled at 4,728.13, after falling 53.23 points or 1.11 per cent. The DS30 index, comprising blue chips, dropped 21.30 points or 1.17 per cent to finish at 1,794.69. The DSE Shariah Index (DSES) shed 13.93 points or 1.21 per cent to end at 1,135.79. Trading at DSE remained sluggish as it stood at BDT 3.38 billion, which was 6.10 percent lower than the previous session’s BDT 3.61 billion. Losers outpaced gainers, as out of 318 issues traded, 231 declined, 60 advanced and 27 remained unchanged on the DSE trading floor. Lafarge Surma Cement dominated the day’s turnover chart with shares of BDT 230 million changing hands followed by Beximco Pharma, Mozaffar Hossain Spinning Mills, GP and Far Chemicals. LR Global Mutual Fund One was the day’s best performer, posting a rise of 8.19 percent while Matin Spinning was the day’s worst loser, plunging by 9.95 per cent. 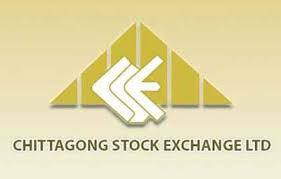 The port city bourse Chittagong Stock Exchange (CSE) closed lower with its Selective Categories Index – CSCX – losing 108.93 points to end at 8,804.27. Losers beat gainers 178 to 38, with 23 issues remaining unchanged on the port city bourse that traded 10.79 million shares and mutual fund units with a value of BDT 337.74 million.